Buckaroo is a turn-taking game of balance that inolves hooking items onto the saddle of a mule before it can ‘buck’ the items off. 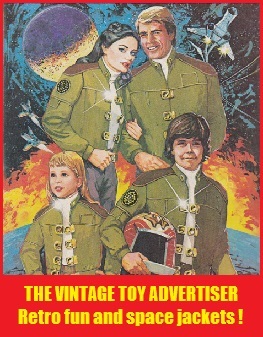 The toy was released in the UK by Ideal in 1970 and went on to become a global hit. Buckaroo is still sold to date and remains a popular toy. Bourico . French version of the bucking mule game, Buckaroo . This entry was posted in BUCKAROO and tagged 1970s, 1980s, Buckaroo, nostalgia, retro, vintage advertising, vintage toys on May 18, 2017 by The Vintage Toy Advertiser. Buckaroo is a turn-taking game that involves hooking items onto the saddle of a mule before they become too heavy and the mule ‘bucks’ them off. The toy was released in the UK by Ideal in 1970 and went on to become a global hit. 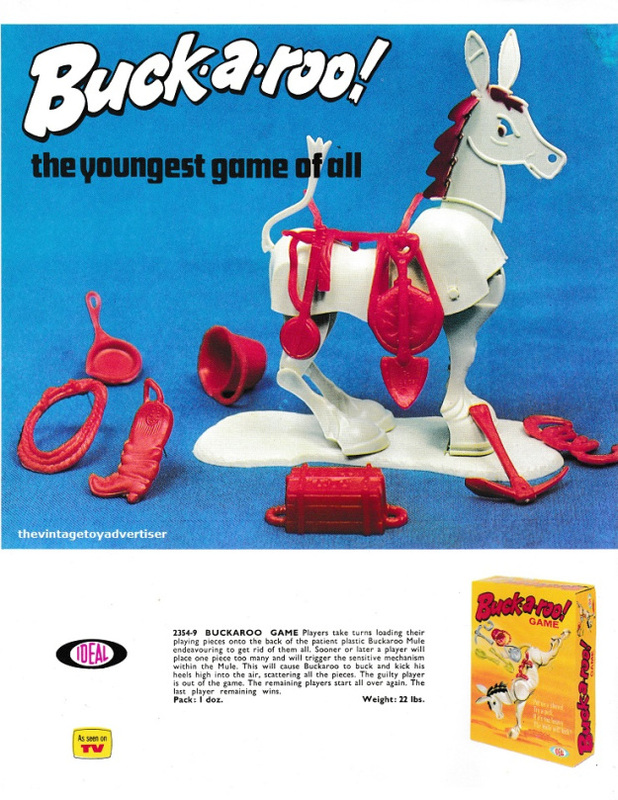 Buckaroo is still sold to date and remains a popular toy. Bourico. 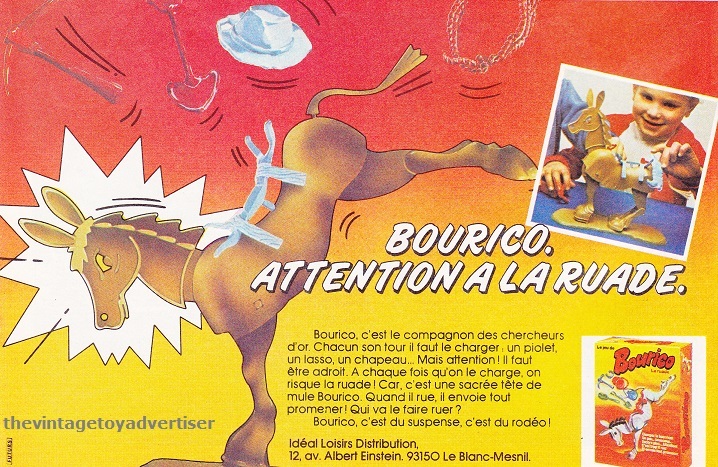 French version of the bucking mule game, Buckaroo. 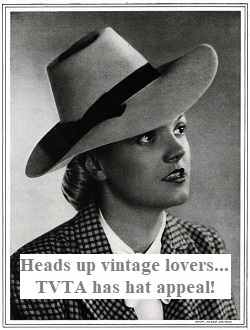 This entry was posted in BUCKAROO and tagged 1970s toys, 1980s toys, Bourico, Buckaroo, classic 1980s games, Ideal Toys, nostalgia, retro, vintage, vintage toy advertisements, vintage toys on April 15, 2011 by The Vintage Toy Advertiser.